Why not eat Kadhi in Saawan? 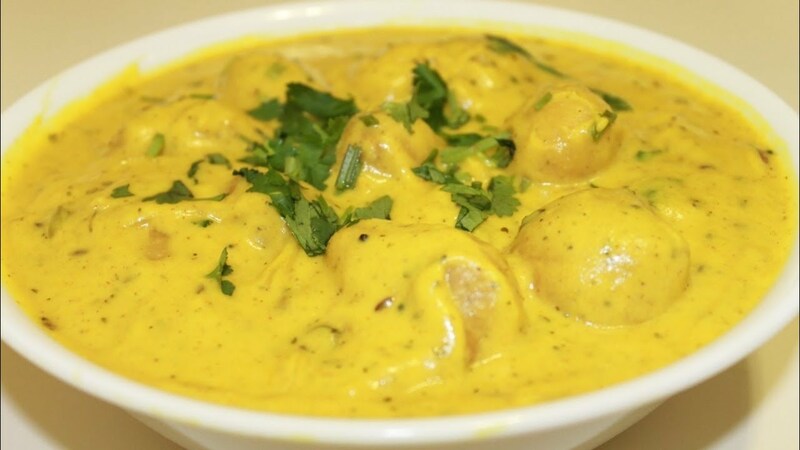 Kadhi or curry is one of the most popular savoury preparations of North Indian Cuisine whereby people enjoy it a lot. Pouring dollops of Kadhi over hot streaming rice and enjoying the same again and again till the belly is full is worth remembering. Kadhi is a preparation in which sour buttermilk is boiled with sifted gram flour (Besan) and some spices like methidana, zeera, dhania, turmeric, salt and pepper. After that, as per individuals’ choice and flavour, some pakodas or boondi are added to the same and then, tempering is done using ghee and red chilly. In the month of Saawan, the sky is overcasted with clouds and there is lot of rain. This makes the atmosphere sluggish and hampers our digestion. The quality of drinking water degrades down and further slows down digestion. In the same line, lack of immunity becomes prominent due to the same water problem. Kadhi, despite being delicious, is cool in nature and hence, hard to digest as it contains Besan. And the buttermilk is coming from the milk which is given by cows which are grazing on fresh new grasses of the rainy season which are already contaminated and are forbidden for humans to eat. In the month of Shravan, humans are not supposed to eat green leafy vegetables. Hence, our grandparents forbid us to eat kadhi, just for our own benefit of health. Poor digestive system cannot digest kadhi and hence, they forbade us. This entry was posted in Astrology and tagged Chaturmaas, Dadi maa, Everything begins with faith, Grandparents, No curry, No kadhi, Saawan, Science, scientifc relevance, Scientific, scientific importance, Shraavan, shravan, shubhpuja, shubhpuja.com, vedic science.